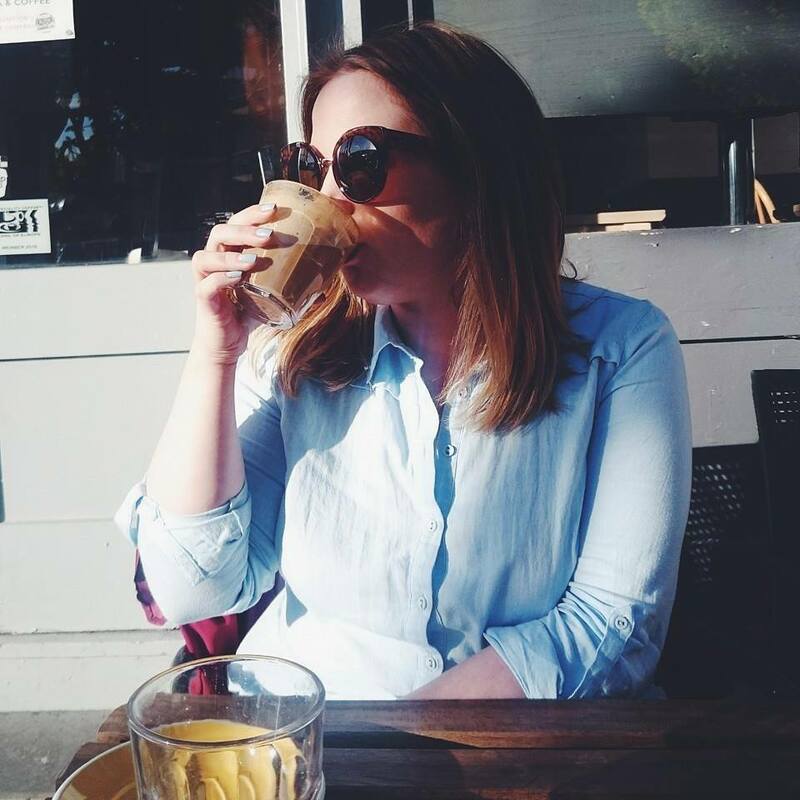 This is a very different post from me today but I thought I'd put it out there as I love reading other blogger's home hauls and as a few you may know, Arran and I moved into a new flat at the beginning of April. I've been picking up random bits here, there and everywhere recently. I've dragged him to Ikea, Debenhams, BHS, The Range and Primark on numerous occasions. The above homeware haul is all from that little shop we all love, Primark. This store is a homeware cave, they sale some gorgeous bits and pieces for a fraction of the price of most on the high street. I only went in to get some new sheets as we had, had a new bed delivered that morning, next thing I know, I couldn't hold everything I had picked up and was heading to the till. I love Primark for sheets and bedding because they are good quality and such a bargain at just £7. I bought just a plain white sheet and a lavender sheet. I came across these shabby chic baskets which was just what I was looking for to store all my Lush bubble bars in, I now keep the smaller one on my bedside table with S&G Hand Food, lip balm and other essentials inside. These were just £8 for the two. Two Vanilla room vapourisers went into the basket, one each for the bedroom and living room for just £1, and a new bath mat. Lastly was the adorable cushion for just £4. I saw a girl walking around with it so went and tracked one down. It has the definition of a hug on it and I thought it would be perfect to go on the bed. I love cushions like this and have different ones scattered in the living room and bedroom. What homeware pieces have you picked up recently? 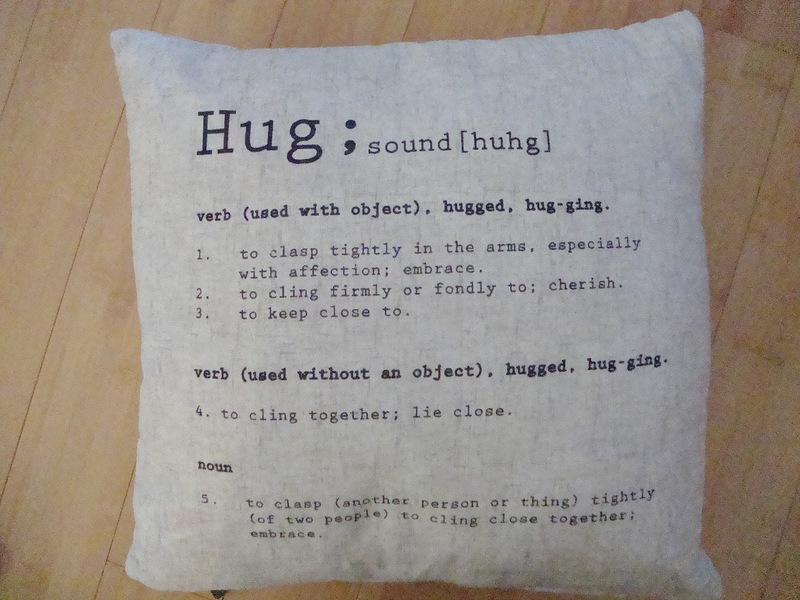 I absolutely adore the Hug cushion! It's so lovely! 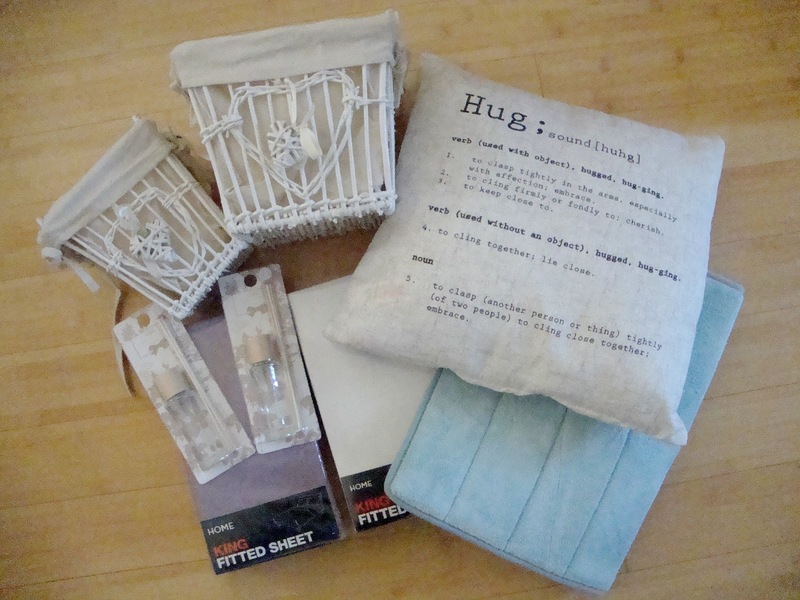 :) What a great Homeware Haul! I'm glad the move went so well too! I love the idea of storing your lush bubble bars in one of the baskets. It makes me want to buy a tonne of lush products and a basket to put them in. Primark do such nice homewear, at amazing prices (of course). I would never guess that was all Primark! Amazing!